Here is ditto! 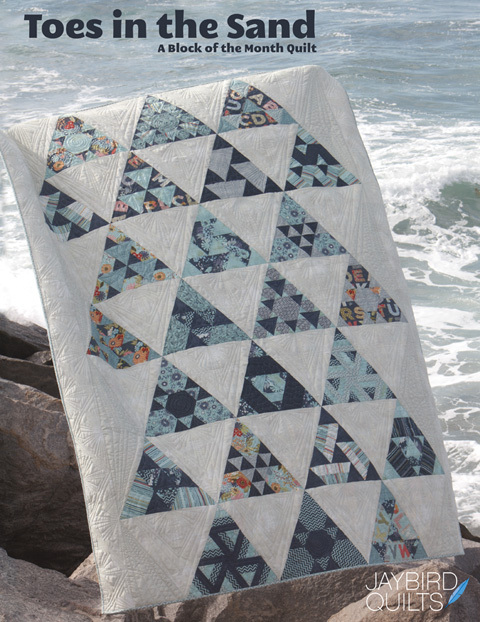 I love the movie ghost & have always wanted to name a quilt ditto. I waited for the right design & when I came up with this one I knew it was the perfect fit! It includes 3 size options. 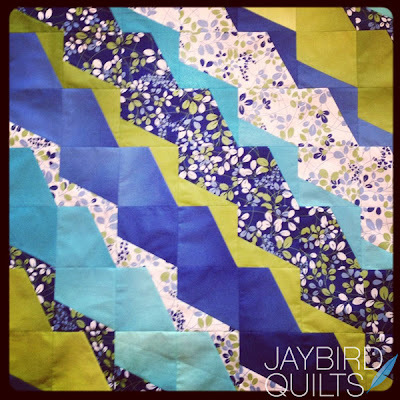 The beauty in this pattern is that I figured out how to use the same amount of each fabric for the quilt top. That means less thinking about math for you!! 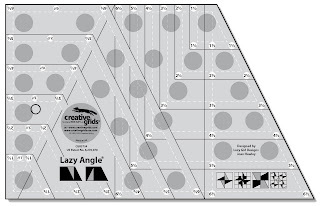 Quilt measures - 40" x 50"
This pattern features the Lazy Angle Ruler! I've used this ruler on 6 previous patterns and keep coming up with more ideas on how to use it! I don't have any outtakes to show you this time. Instead here is a flat shot of the front so you can see more of the design. Angela did an AMAZING job on the quilting as usual. 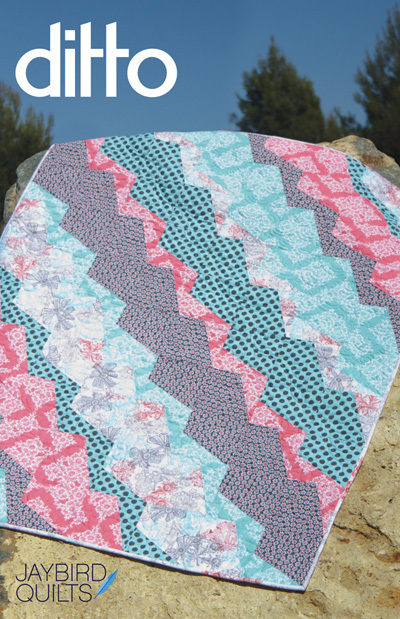 She quilted a different designs in each of the zig zag sections. 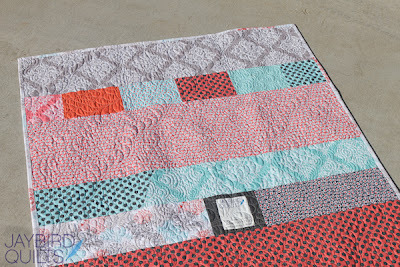 I actually showed a peek at the back of this quilt almost a month ago. Here is a bigger photo of the back. I used scraps from the front and a few other pieces from the fabric collection that I didn't use on the quilt top. I'm very excited about this one & hope you are too!! 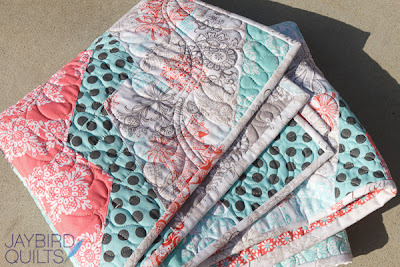 I bound the quilt in a white allover print so that it didn't distract from the quilt design. 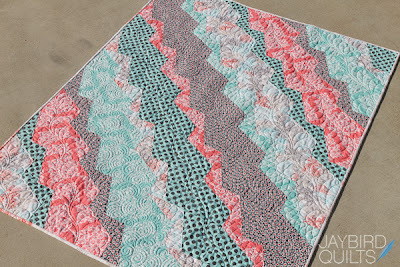 The Ombre made for a really cool addition to the zig zag sections. It should be back from Angela any day now & then I'll get it bound before market! 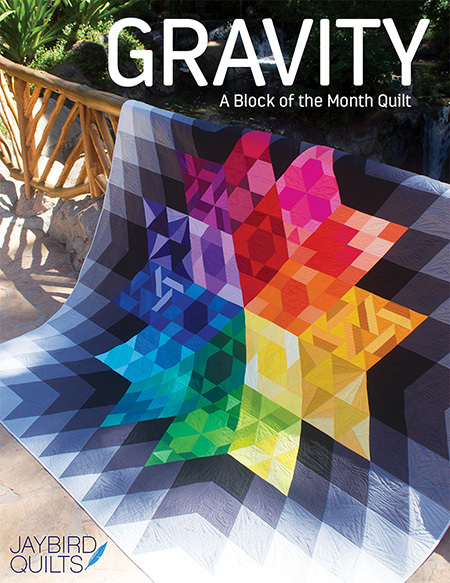 This pattern will start shipping on May 21st. 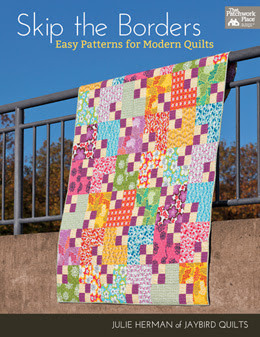 I will have copies of it available next week at Quilt Market during Sample Spree too! 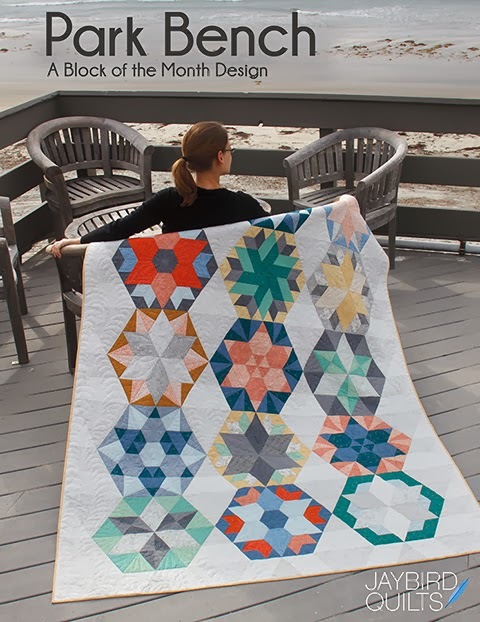 OMG OMG OMG I have to have this pattern and template, I recently came up with a color palette that screams to be a quilt, but have been stuck for a design and this will work perfect. Well as soon as you said Ghost I could see the "staircase" at the end of the movie! Looking forward to working with this ruler soon, it's sitting here waiting for me. 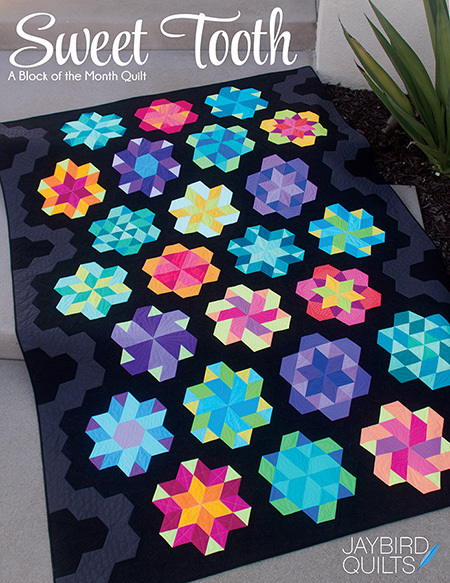 And this quilt is smashing! Love it. Can't wait to get my hands on some of that V & Co fabric. I love them both! Congratulations! Both are so beautiful! The ombre fabric really gave it another dimension, so cool! That is really a beautiful and intersting design. 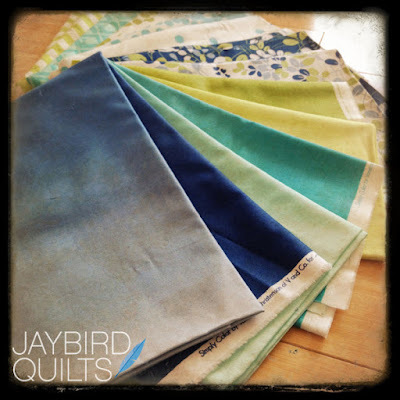 It will lend itself well to so many fabric variations. Love it! 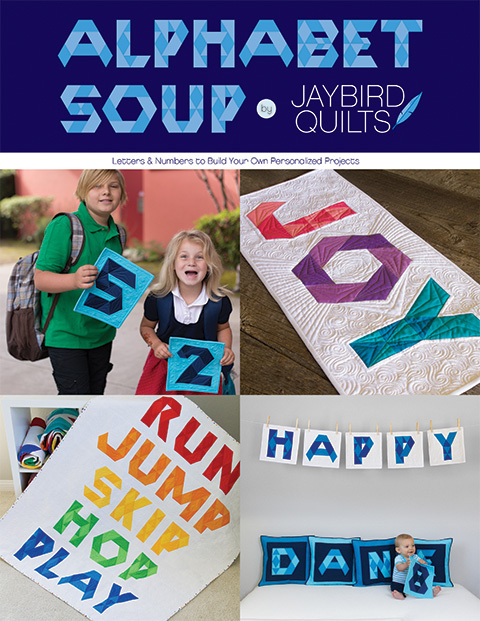 Very clever pattern, Julie! Love both versions! 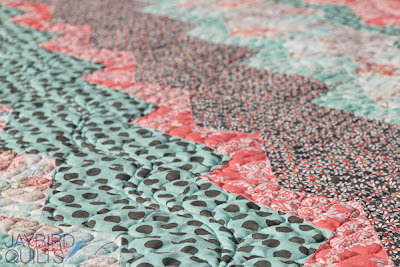 I really like this quilt and your friend angela did a brillant job! 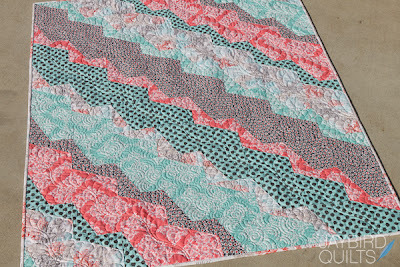 I love the pattern, but the version in the ombre. Can't wait to get the pattern in hand. Where can I buy the pattern AND where can I get the blue fabrics?!!! 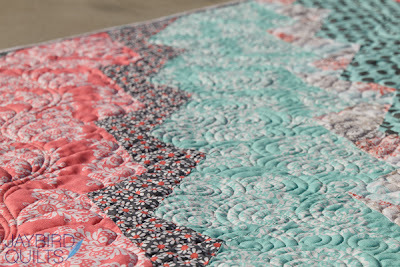 I just love both of the quilts! I can't wait to get this pattern. I'm almost finished with my first "ditto" in patriotic fabrics. It's totally cute! I made it a twin size since that's the largest the pattern was printed for. Julie, what would the magic number be for a queen size and how many different fabrics would I need? This was my first quilt using your patterns and I'm hooked! You are so creative! 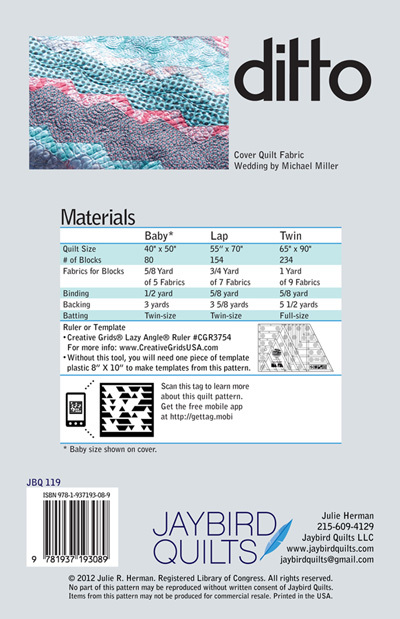 New Patterns for Quilt Market! Angela was on the news! Geared for Guys Blog Tour! Today marks my 600th post!